There is a new institution on the financial landscape. It includes five G7 member states and 26 regional member states and carries an endowment just under $100 billion. But there is one big issue that’s causing a stir—the United States refuses to participate even as its closest allies rush to join. The rise of the China-backed Asia Infrastructure Investment Bank (AIIB) has fed the ‘American decline’ narrative popular among many news outlets. In the past weeks several notable American allies have agreed to join the bank. On March 12, the United Kingdom became the first US ally to announce that it would join the AIIB after originally deciding against membership. Several European countries, including Germany, France and Italy quickly followed. Two weeks later on March 26, South Korea announced that it too would join the AIIB. After three days, Australia and the Netherlands completed the humiliation. In light of these defections, the media remains transfixed to the unyielding opposition of the United States and its increasingly ‘isolated’ stance. When China first unveiled the AIIB, the United States used diplomatic pressure to prevent its allies from signing on to the new bank. However, those efforts failed in recent weeks after China agreed to scrap its veto power over the bank’s decision-making process in order to attract American allies. Despite the criticism directed towards the Obama administration, the strategy employed by the United States is not one of isolationism, nor has the United States been isolated. The United States is refusing to join the AIIB until China has solidified a system of decision-making that guarantees its actions are apolitical and responsible toward sustainable development. The United States expressed great dissatisfaction when the United Kingdom joined the bank as its first Western member. According to a senior Obama administration official the United States remains “wary about a trend of constant accommodation of China, which is not the best way to engage a rising power.” The United States is concerned, and reasonably so, that the new bank will serve as a tool for the People’s Republic of China to challenge the established international system and the norms that exist within it. America Is Not Being Isolated, It’s Being Wise. In spite of withering criticism, the United State’s decision to withhold support for the AIIB has its merits. It would be unwise for the United States to back an institution that allows China to wield outsized influence over decision-making, particularly when that decision-making could lead to politically, economically and environmentally irresponsible investments. 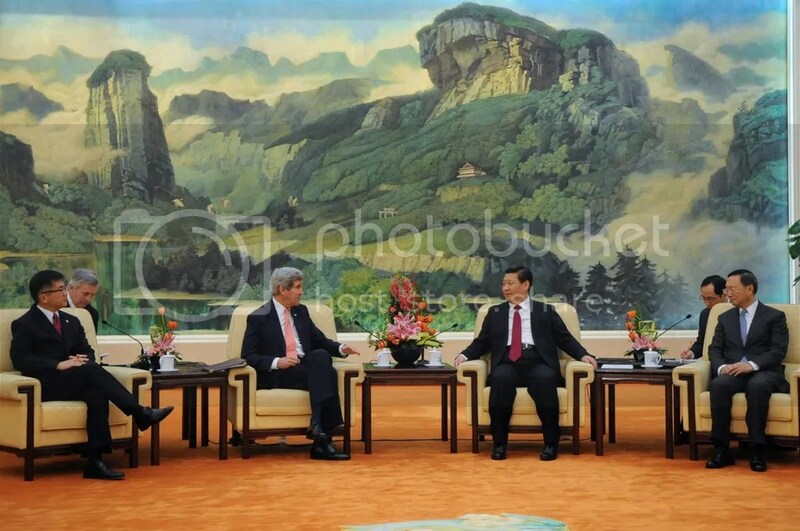 The agreement by Chinese officials to forgo veto power was a step in the right direction. However, more concessions can yet be gained. Concerns that the AIIB will be used to further China’s political agenda were raised last week when China demanded that Taiwan only be admitted to the bank’s membership if it applied with an ‘appropriate’ name. Taiwan, referred to by China as “Taipei, China” and officially known as the Republic of China (ROC), has been in a near constant state of conflict with the mainland since 1949, when defeated Nationalist Chinese forces led by Chiang Kai-shek fled to the island following the Communist Party’s rise to power and the establishment of the People’s Republic of China (PRC). The use of Taiwan’s AIIB membership as a chance to bring up the issue of its sovereignty is not only incredibly dark, but indicative of China’s intentions to use its influence in the AIIB to pursue its own political agendas. Furthermore, Beijing’s maneuvering of its own bank’s role as an alternative to the IMF, World Bank, and the ADB have led to concerns that contracts funded by AIIB investments might favor firms that support Chinese political positions. China must provide credible assurances, that it will not use the AIIB as a tool of its own power before the institution can be considered politically kosher around the globe. Suggestions have been made to pressure China to address concerns that its new bank will be used as a political tool, but thus far, China has not acted to assuage such concerns. South Korea recommended moving the bank’s headquarters to Seoul in order to alleviate concerns over China’s political intentions. However, China insisted that the headquarters remain in Beijing. South Korea did not attend the signing of the original document laying out plans for the creation of the bank. All the scrutiny focused on the rise of the AIIB places substantial pressure on China to facilitate a system that dispels these concerns. It is imperative for the survival of the AIIB that China establishes fair guidelines for the bank. If voting structure and day-to-day operations of the bank are seen as being skewed or unfair, all of the progress China has made toward establishing its own alternative institution will be done in vain. If the United States truly wants the AIIB to adopt standards used by existing international institutions, it must first show China that it is willing to be fair with rules and procedures. In 2010 the IMF proposed changes to its voting structure that would increase the voting power of developing countries by 2.6 percent and redistribute voting power among developing and developed countries from over-represented countries to under-represented countries. Among the countries to gain the most voting share from these reforms are China and India. Though this set of IMF reforms has received backing from the Obama administration, it has not been implemented due to resistance from the U.S. Congress, which must ratify any change in the US’s voting quota. If Congress were to ratify IMF reforms, it could turn the current narrative to focus on the structure of the AIIB and place additional pressure on China to endorse both equitable voting power and stricter standards for lending in the new bank. The focus of the United States should not be on the maintenance of its own voting power alone, it should be on the improvement of lending standards that it helped create to bring greater efficiency and reform progress to the international financial system. In order for the current regime of international standards to survive, the United States must show a willingness to allow its role within that structure to evolve. The perfect way of sending that message would be to ratify IMF reforms, while continuing to pressure China into accepting existing norms. Until the AIIB can prove itself to be impartial and responsible, the United States should limit its interactions with the institution.